Guest blog by Niki Pantazidou. As a book and paper conservator I had the great opportunity to work at the University of Manchester’s John Rylands Library since March 2016. The Library has an important collection of more than 3000 papyri covering different periods, languages and origins. Papyrus, which was made from the plant Cyperous Papyrus, was first used as a writing material around 3000 BC in Egypt. The plant used to grow on the banks of the River Nile. Most inks used for writing on papyrus were black (carbon ink) and red (iron oxide-usually from natural minerals) (Danzing, 2010). Black ink on papyrus, viewed through a microscope. 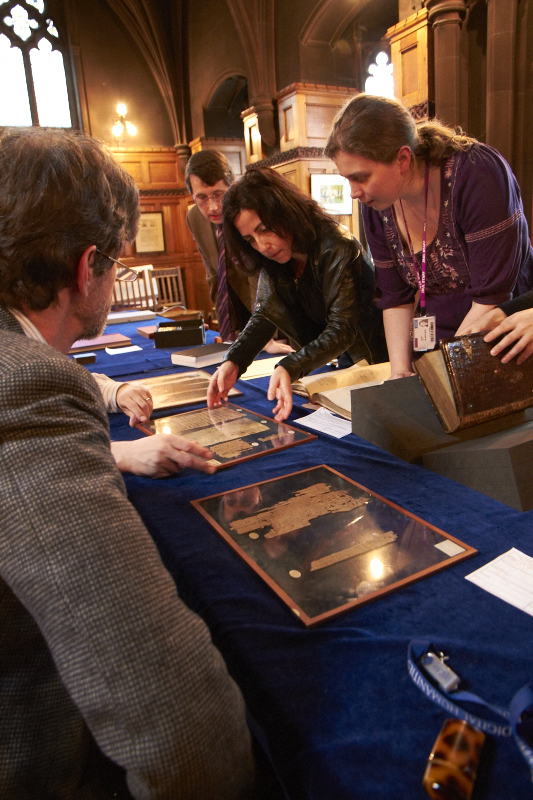 The Greek Papyrus collection in John Rylands Library provides important insights into early Christianity and important documents referring to medicine, taxation, etc. 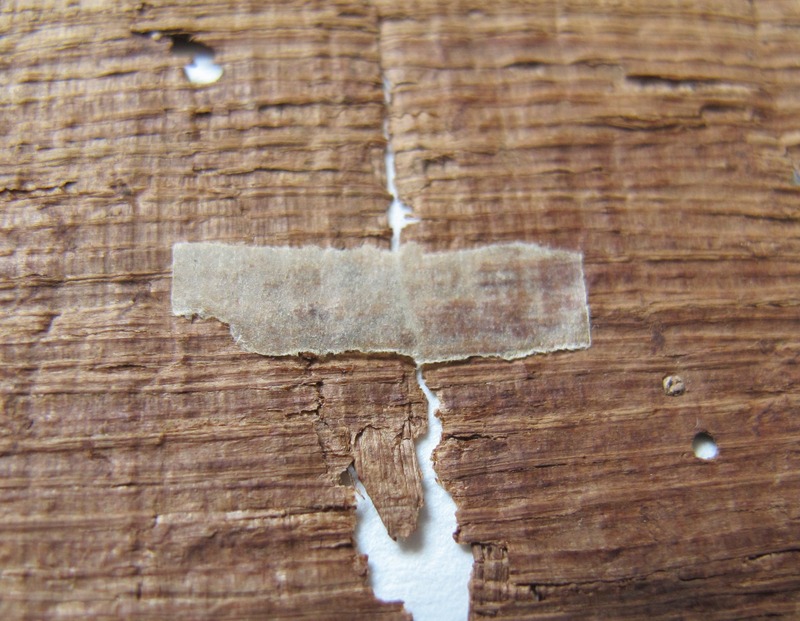 It also includes some fragments written on parchment – animal skin. Unnumbered parchment fragment, with drawing of Christian figure. 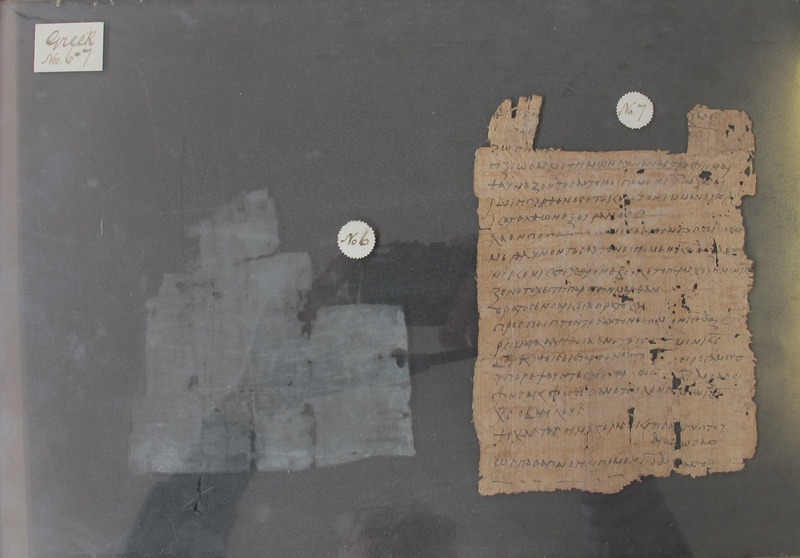 In August 2016, with funding from the National Manuscripts Conservation Trust, the methodical papyri rehousing project was able to commence. The aim was a storage method which allows researchers to handle them safely and more easily. The idea behind the rehousing project came from our conservator, Tim Higson. Many fragments were very fragile, and at risk from a range of issues, including adhesive tapes, creases, folds, dust and dirt deposits. Fragment showing tears and creases. Fragment showing dirt and dust deposits. The majority of the fragments were kept in polyester “wallets”, which are unsuitable because of the risks caused by static. Some of the fragments need to be stabilized with “bridges” which are Japanese tissue coated with SCMC. This type of glue is activated with deionized water.We decided to remove fragments from polyester wallets, and place them in archival folders. Taking the papyrus out of the polyester wallet. 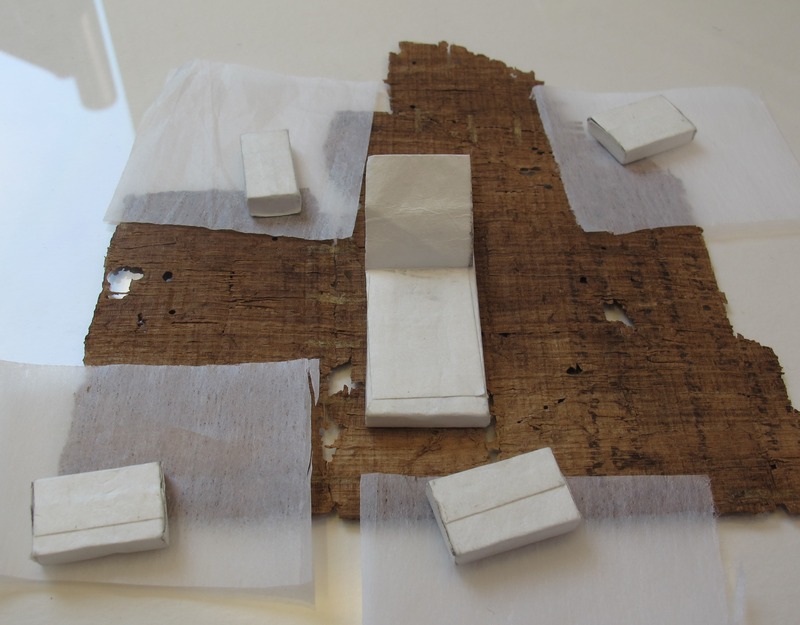 During the process of the project, we had to leave some of the papyri fragments in their polyester “wallets” due to their fragile condition. Fragment to fragile to remove from polyester wallet. (Conservator’s vow, “The Venice Charter”, 1964). Loose fragments that need a different storage solution! Conservators work with archaeologists, curators, papyrologists, chemists and other professionals cooperate to unite the past with the future and bring to light valuable knowledge and information about customs, traditions, and history. I would like to thank the University of Manchester and the National Manuscripts Conservation Trust for giving me the opportunity to work on this unique collection of Greek Papyri, and to thank Tim Higson and Dr Roberta Mazza for their support and guidance. Finally, I wish to acknowledge the help and the warm support provided by all my colleagues. It was an exceptional working environment and I feel very grateful about that. 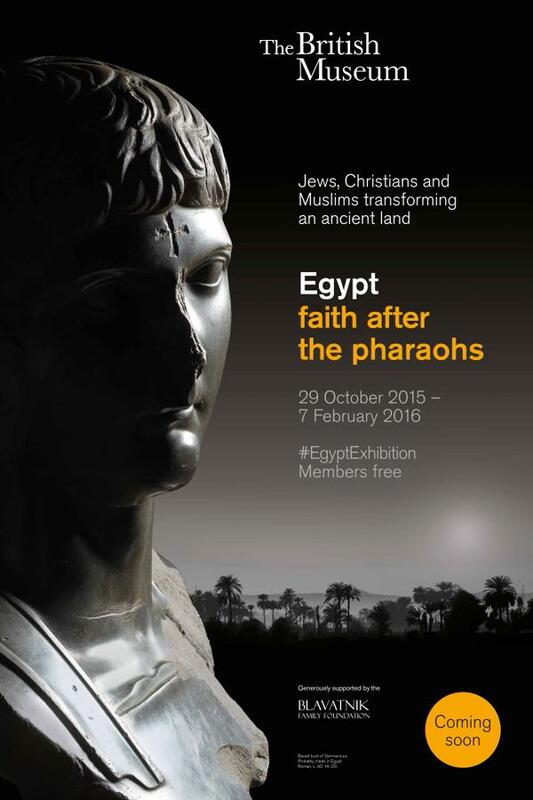 The Collection Care Department have been preparing a number of items being loaned to the British Museum as part of their Egypt: Faith after the Pharaohs exhibition, which opens in October 2015. 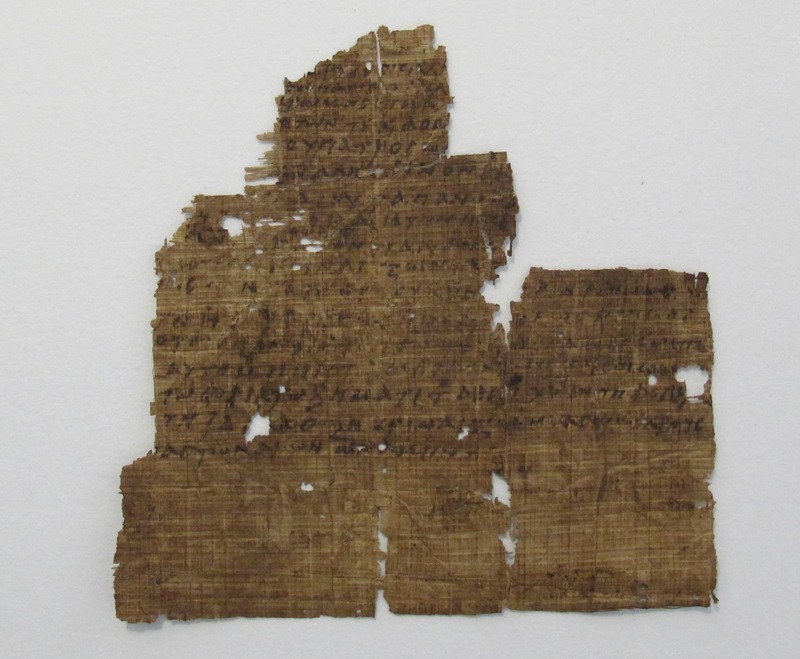 One of the items to be loaned is Greek Papyrus 6, a Christian theological text, which is considered to be the oldest copy in existence of the Nicene Creed. The papyrus fragment, which measures 124mm x 125mm, was housed within a glass frame along with another fragment of Greek papyrus (Greek P 7). The decision was taken to re-mount the two items individually. When Greek P 6 was carefully removed from its glass frame, a salt deposit, on the inner surface of the glass was evident, which had been partially obscuring the view of the fragment and text. During the process and whilst the item was out of its frame, we took the opportunity to have multi spectral images of the fragment taken by the JRL’s Heritage Imaging Team. Surface dirt was removed from the fragment along with old repair material (Glassine paper), before creases were eased open and relaxed. The ink was tested to ensure its stability as this technique involves the introduction of deionised water to areas of the fragment which could compromise the text. Breaks and splits in the fragment were repaired and joined using small pieces of remoistenable Japanese tissue coated with sodium carboxylmethylcellulose as an adhesive. The fragment was then secured in position between 2mm UV filtered glass, using small Japanese tissue ‘anchors’. Wheat starch paste was used as an adhesive. It’s important that all treatments carried out are reversible and that materials are of archival quality. The frame was labelled and bound, using a white Tyvek tape. Greek P 6 after rehousing, ready to be packed for the British museum exhibition! CLICK for an animated gif showing the sequence of the light panels across the spectrum, from UV through visible to infrared. Our colleagues in CHICC (the Centre for Heritage Imaging and Collection Care) have recently acquired at set of MegaVision spectral lighting panels, which give us the capacity to undertake cutting-edge multispectral imaging on our collections. Mike Toth who has worked on the spectral imaging of the Archimedes palimpsest and other projects visited the Library for a two-day workshop on multi-spectral imaging. Mike also gave a great presentation to staff about his recent work on the Galen Palimpsest digitisation project, and the importance of creating an online repository for the data. Mike has also been working on an incredible spectral project within St Catherine’s Monastery in the Sinai desert, a wonderful in depth article can be found here. Last week John posted a list of “legacy” manuscript catalogues now available via Manchester eScholar. It reminded me that many catalogues published in the Bulletin of the John Rylands Library are also available in the same way. 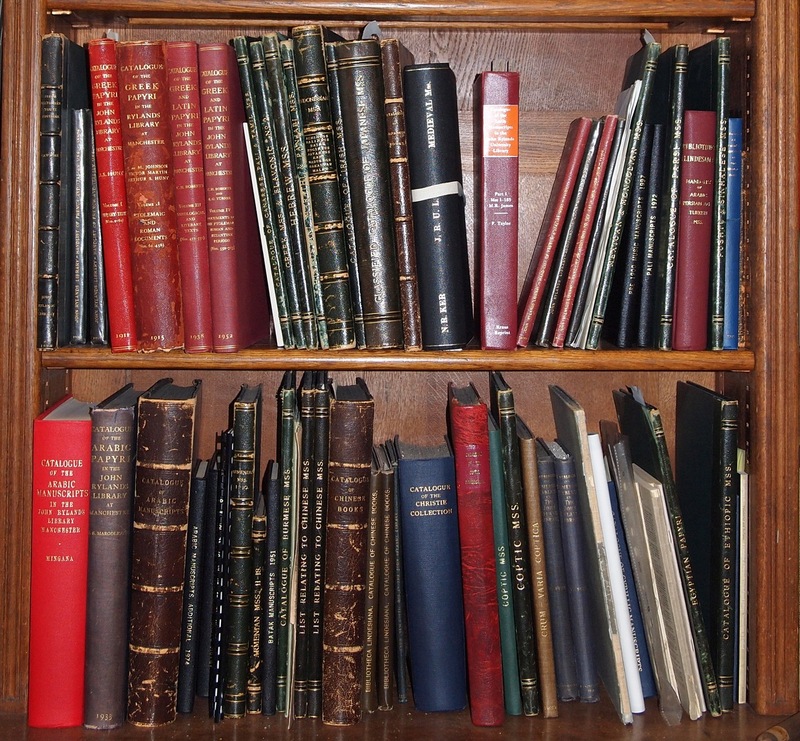 These catalogues are neither complete nor current, but they do provide information about the collections which was not previously available online. C.E. Bosworth, ‘A catalogue of accessions to the Arabic manuscripts in the John Rylands University Library of Manchester’, Bulletin of the John Rylands University Library of Manchester, vol. 56 (1973–74). G. Rex Smith and Moshalleh al-Moraekhi, ‘The Arabic papyri of the John Rylands University Library of Manchester’, Bulletin of the John Rylands University Library of Manchester, vol. 78, no. 2 (1996). We have recently digitised many of the ‘legacy’ catalogues of our manuscript collections, and these are now available as searchable PDFs through Manchester eScholar, the University of Manchester’s Institutional Repository. Links to eScholar are provided below. Many of the catalogues were published in the early decades of the twentieth century, and they reflect the scholarship and attitudes of the period. Eventually we hope to update many of the catalogues in accordance with modern metadata standards and scholarship, but for now we hope that the PDFs will suffice. Thanks to Ben Green, Phil Butler and their teams in Digital Technologies and Services for facilitating this initiative. Margoliouth, D.S., Catalogue of the Arabic Papyri in the John Rylands Library Manchester (Manchester: Manchester University Press, 1933). Mingana, A., Catalogue of the Arabic Manuscripts in the John Rylands Library Manchester (Manchester: Manchester University Press, 1934). Griffith, F.LL., Catalogue of the Demotic Papyri in the John Rylands Library Manchester (Manchester: Manchester University Press, 1909). Hunt, Arthur S., Catalogue of the Greek Papyri in the John Rylands Library, Manchester, Volume I, Literary Texts (Nos. 1-61). (Manchester: Manchester University Press, 1911). Johnson, J. De M., Victor Martin, and Arthur S. Hunt. Catalogue of the Greek Papyri in the John Rylands Library, Manchester, Volume II, Documents of the Ptolemaic and Roman Periods (Nos. 62-456). (Manchester: Manchester University Press, 1915). James, M.R., and Frank Taylor, A Descriptive Catalogue of the Latin Manuscripts in the John Rylands University Library (Manchester: Manchester University Press, 1980). 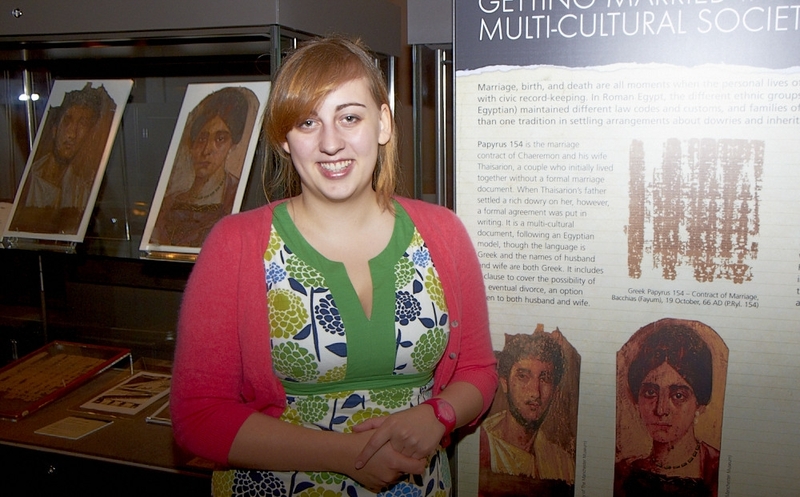 “I have been doing an internship here at the library for the last six weeks to gain experience in the heritage sector and was lucky enough to help out with setting up the Faces&Voices exhibition. It has been quite a learning curve and I had an interesting insight into how much work it takes to create and install such an exhibition. The amount of time and effort put in by the curators, Roberta Mazza and Kate Cooper, as well as the Public Programs Manager, Jacqui Fortnum, and the rest of the library staff has been phenomenal. I only came into the proceedings towards the end of the journey but it was lovely to see all that hard work coming together. As the exhibits were brought up from the stores and the cases were cleared and cleaned excitement started to build about the arrival of the famous mummy portraits from Manchester Museum. I found it particularly interesting to see all the work involved in preparing the items to go on display and then protecting them while they are out. The conservators carefully check everything before it goes into the cases and there were several anxious discussions about controlling the potential spread of glitter from the modern art to the papyri and the mummy portraits. Even the modern books had hours spent over them checking they would be alright to be left open on the chosen page for four months and bespoke stands were made for every piece. When the day came to install the exhibition the air was very humid – not ideal for the delicate mummy portraits which are best kept in drier conditions. This is because they are painted on wood which will expand and contract if the humidity level of the air around them changes too much. If the wood changed shape it could be disastrous for the 2000 year old paint on its surface so the conservators are very careful to control the atmosphere around them. The cases could only be left open for a short amount of time while the curators arranged all the pieces and the labels to their satisfaction then they were quickly locked away to allow the mechanisms inside the display cases to reduce the humidity levels back to a comfortable level. 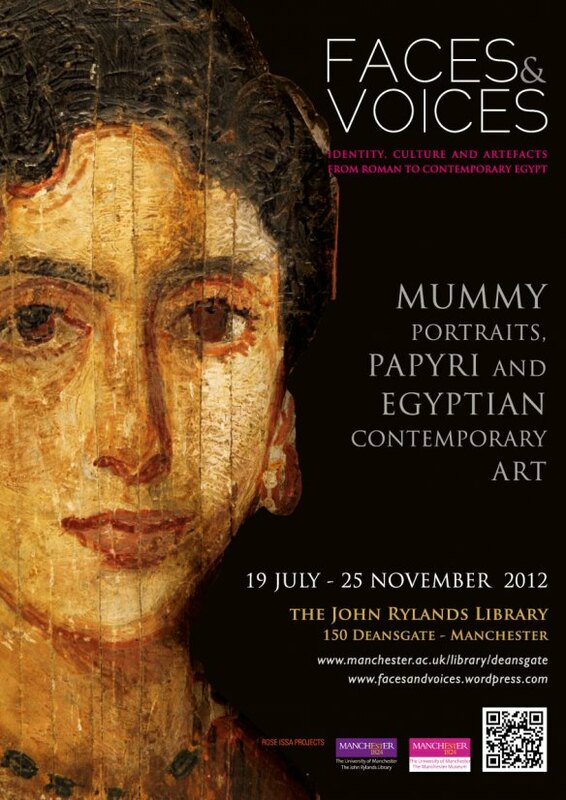 If you would like to find out more about events and scholarship around this exhibition, visit the Ancient Voices Project website and the curator’s blog. Yesterday we had a fascinating visit from Mike Toth, manager of the Archimedes Palimpsest Project at the Walters Art Museum in Baltimore. Mike had just stepped off a plane from Egypt, on his way back from a visit to St Catherine’s monastery on Mount Sinai. In fact he was still wearing his dusty desert boots! Mike is an expert in multi-spectral imaging, which is able to ‘recover’ faded and obiterated texts such as palimpsests. The process involves taking a series of digital images with different wavelengths of light, and then using computer algorithms to enhance particular characteristics of the imaged area. To be frank, that’s as far as my knowledge of the technology goes, but I do know that it has proved spectacularly effective in revealing the lost text of the famous Archimedes Palimpsest. The project website contains masses of technical information on the imaging process for those who are interested. 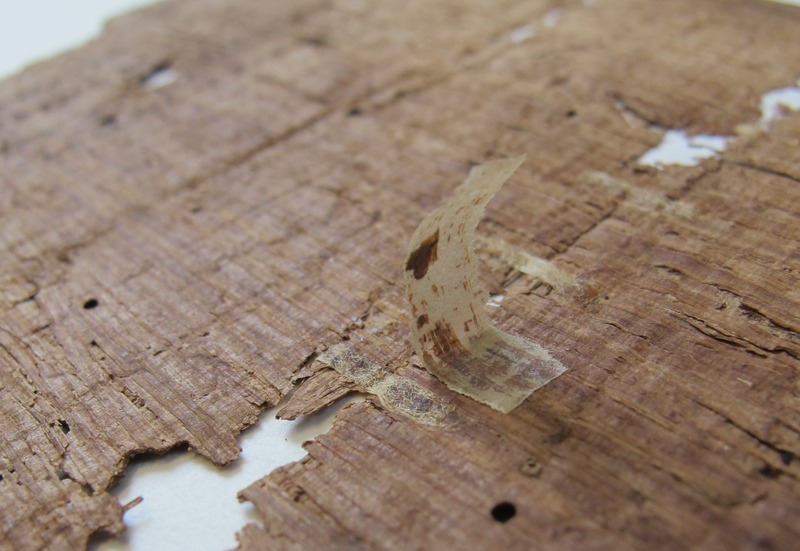 Palimpsests, by the way, are recycled manuscripts, typically on parchment, where the original text is scraped away and overwritten with a new text. Ink generally doesn’t soak into parchment in the way that it does with paper, but sits on the surface, so it can be erased relatively easily. Depending on how effectively the original text was obliterated, it may be visible to the naked eye underneath the later text, but unreadable under normal lighting conditions. 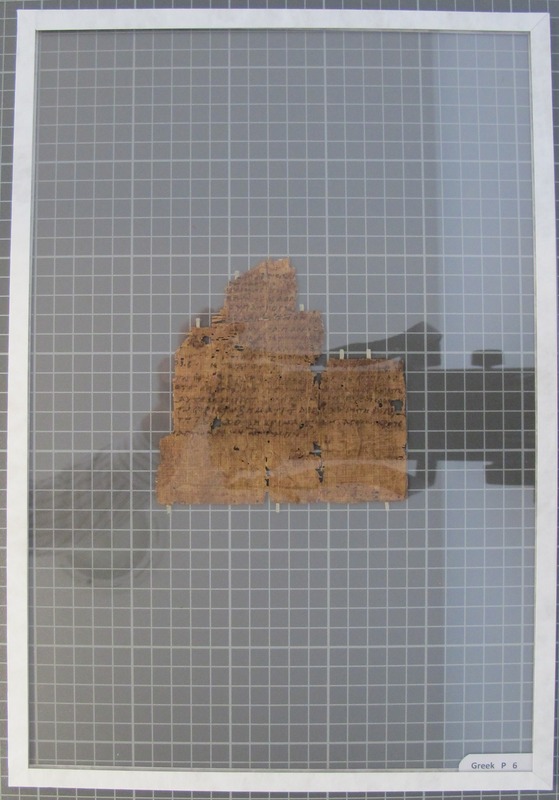 Below is an example of a palimpsest from our collection of Coptic fragments. The horizontal text contains Coptic Prayers for the Departed. The Greek underwriting runs vertically. We are very excited by the potential for using multi-spectral images on our own collections. With Mike Toth and colleagues from Classics and Ancient History at The University of Manchester – Dr Roberta Mazza, Prof. Peter Pormann and Prof. Stephen Todd – we examined a number of palimpsests chosen by Elizabeth Gow from our Greek and Coptic papyri and parchment fragments, as well as medieval codices. Eventually we would like to develop our own multi-spectral imaging capability, but in the short term we hope that Mike will return Manchester later this year to demonstrate his equipment on some of our material. Then we hope to work with our academic colleagues to develop specific research projects that would benefit from this technology. Watch this space! Thanks to Stephen Todd for organizing the event, and especially to Mike Toth for taking time out of his busy schedule to visit the Rylands. 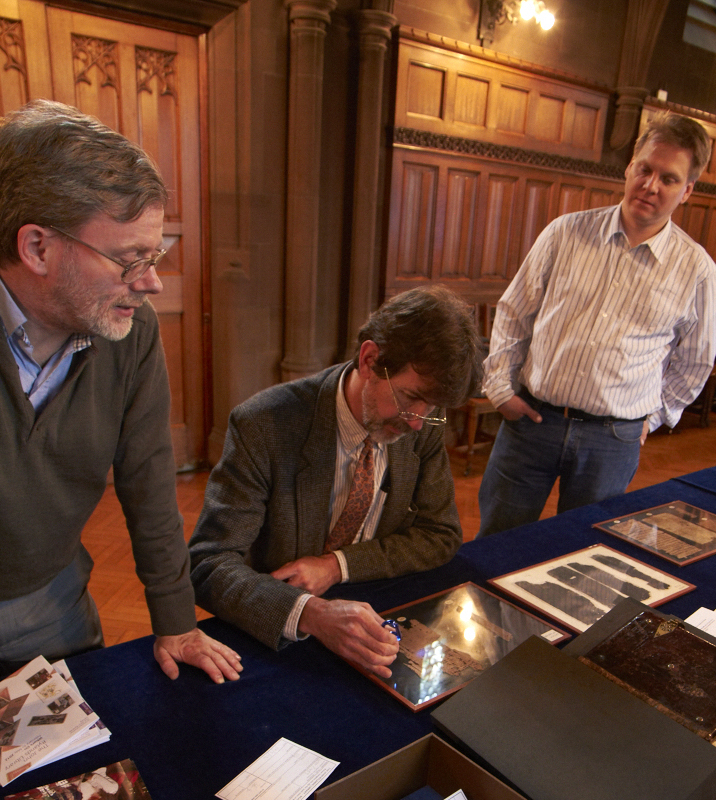 Mike Toth (centre) examines Greek Papyrus 489, a leaf from a codex of Lysias, observed by Stephen Todd and Peter Pormann. Dr Roberta Mazza (centre) shows Mike Toth Greek Papyrus 466. Last Thursday the John Rylands Library hosted a dinner on behalf of Cancer Research UK and the new Manchester Cancer Research Centre building. The Duke of Gloucester, Joint President of Cancer Research UK, was guest of honour, and Julianne Simpson and I mounted a display of medical-related books and manuscripts from our collections. Definitely a case of the cure being worse than the complaint. C.H. Roberts, who published the papyrus in 1938, believed that the recipes are Greek in origin, not Egyptian.